A karaoke videoclip for the conference The Biggest Visual Power Show, a show about visual culture. This years theme ‘Next Nature’. 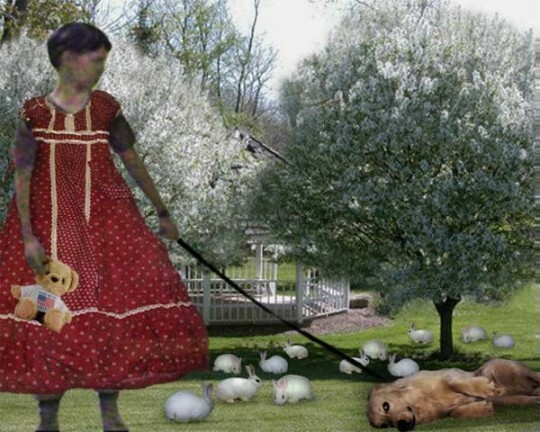 In this karaoke-videoclip, Lynndie Englands’leash’ picture, transforms from Lynndie, standing in Abu Ghraib with a naked prisoner on leash in her hands, to a picture; Lynndie standing with a golden retriever on a leash and 12 white rabbits in a nice garden. karaoke and transitions by PIEK!